Entangled Crush books always put me in a good mood, and The Bad Boy Bargain most definitely lived up to its publisher. Nothing like an injection of feel-good innocence to make this pessimistic, grown woman believe in the warmth of budding young love. The very first thing I want to address is the fact that I could feel how much Faith and Kyle took over Kendra C. Highley. The characters chose their story vs the author using the plot to herd them where she wanted them to go. Evolving organically, it was obvious by the pure chemistry pouring from the pages how much the author was writing the story the characters demanded to tell. Young Adult or Adult, it's impossible not to blush and smile at how Faith and Kyle were feeling one another all throughout the book. It wasn't insta-love/lust, just appreciation that grew into friendship, and eventually grew into love. Banter. Flirting. Their true personalities glowed when they were together out of mutual respect and trust. Faith is a good girl – a good student, a good daughter, a good friend, and a determined dancer/singer. She believes in true love and not bending to a boyfriend who just wants something from her. She doesn't cave, but she has a boyfriend with octopus hands and a disappointed expression – a boyfriend she's determined to drop. After an event that feels like a kick in the teeth, then spirals into something even more disgusting, Faith's current boyfriend becomes her ex. She seeks not vengeance but justice. Kyle has a bad boy image – untouchable, doesn't date high school girls, has a bad rep, maybe even a rap-sheet. But all that is just a facade hiding the real Kyle beneath. A bullied kid who uses his rep as a shield against the very guy who is tarnishing Faith's good girl image. Together, the perceived bad boy and the good girl join forces to put their mutual bully/ex in his place – sparks fly and real emotions are felt. Proof the reader doesn't need a bunch of bells and whistles (shock-value) to elicit emotions within the reader while providing a burst of angst... Kyle was an amazing character who knew what he wanted to do and loved every minute of it, as did Faith – truly good people who I'm so happy found what they were looking for. Besides that, the side characters offered just as much entertainment value. Faith's friend, Violet, I'd love to beg Highley to write us a novel featuring her as a narrator, perhaps with Kyle's buddy (pretty please?!?). Proving not all young adult novels have ghosts/'ought to lose their children to CPS' for parents, Faith's parents were awesome, understanding, and all-around great people. Kyle's family was unique, being raised by his granddad and dad, both of which were equally different. Granddad was a hoot! 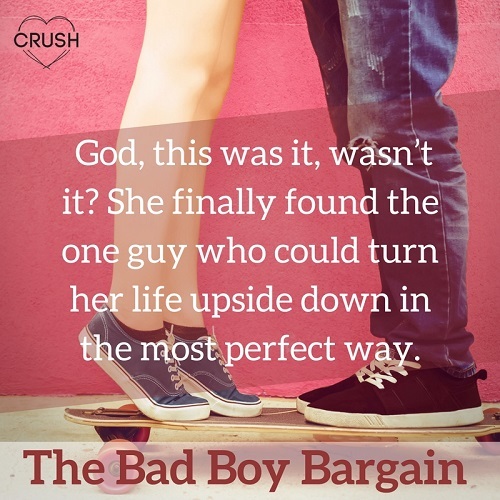 With refreshingly realistic characters, a good foundation and moral to the story, I highly recommend The Bad Boy Bargain to young adults and adults who want to remember the first stirrings of a crush. 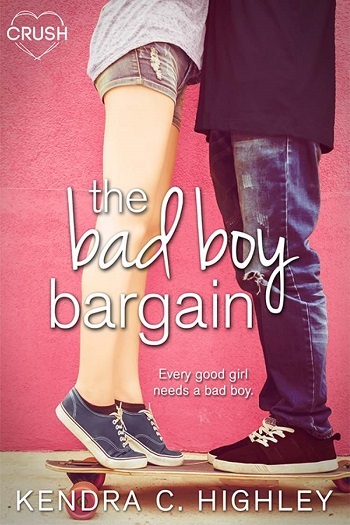 Reviewers on the Wicked Reads Review Team were provided a free copy of The Bad Boy Bargain (Suttonville Sentinels #1) by Kendra C. Highley to read and review.